My kids go to Norfolk Collegiate, so I have kind of a personal connection to both the school and this team. Speaking of this team, they had one hell of a ride this season. Led by their big three seniors, this was really a do-or-die year for them. They peaked at #2, not just in the TCIS private school conference, but rather #2 in the entire Hampton Roads region. Virginia Episcopal, led by Kentucky commit Sacha Killeya-Jones, came calling for the VISAA state quarterfinal. It was neck-and-neck the whole way, but a key missed free throw with 1.4 seconds left sealed the deal for the visiting team. Norfolk Collegiate lost 52-51. Wow. Upward and onward, gentlemen. Norfolk Collegiate's Kyonze Chavis reacts at the buzzer after losing 52-51 in the closing seconds to Virginia Episcopal (Lynchburg) in the VISAA state quarterfinal, Wednesday, March 2, 2016 at Norfolk Collegiate School. 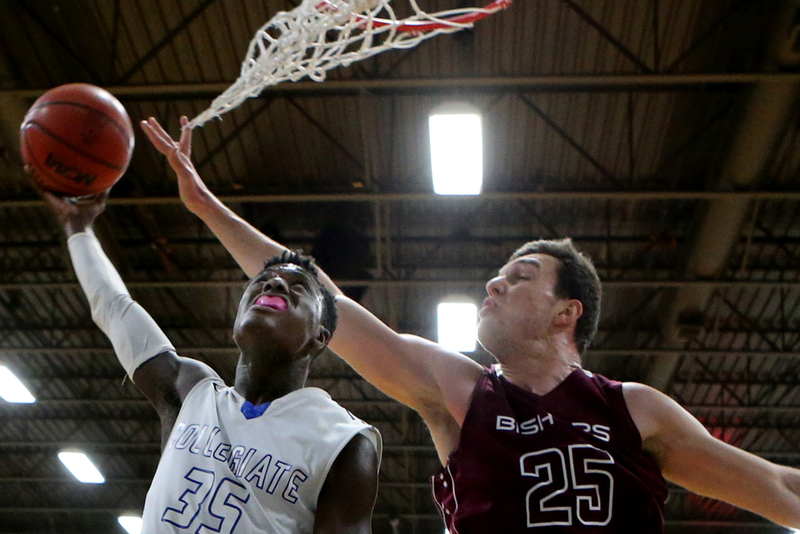 Norfolk Collegiate's Kyonze Chavis, left, shoots over Virginia Episcopal's (Lynchburg) Admir Besovic during Collegiate's 52-51 loss in the VISAA state quarterfinal, Wednesday, March 2, 2016 at Norfolk Collegiate School. 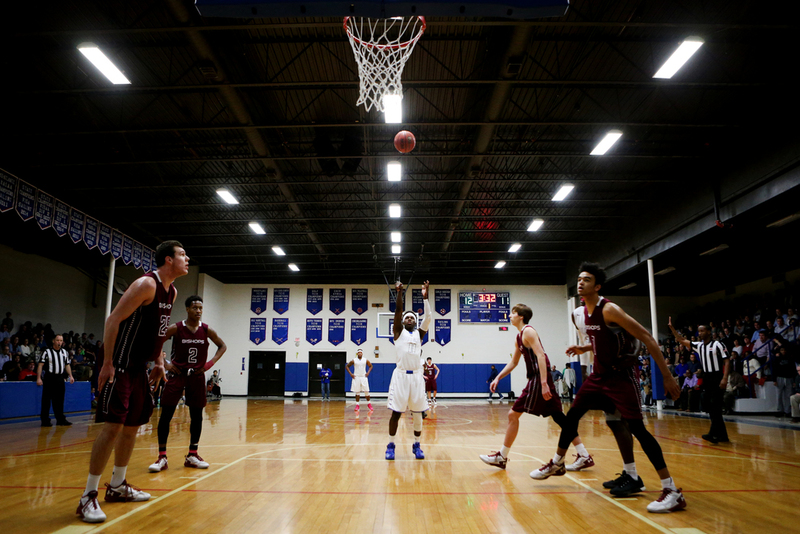 Norfolk Collegiate's Bash Townes, center, muscles through Virginia Episcopal (Lynchburg) defenders Kevin Quinn, left, and Admir Besovic during Collegiate's 52-51 loss in the VISAA state quarterfinal, Wednesday, March 2, 2016 at Norfolk Collegiate School. 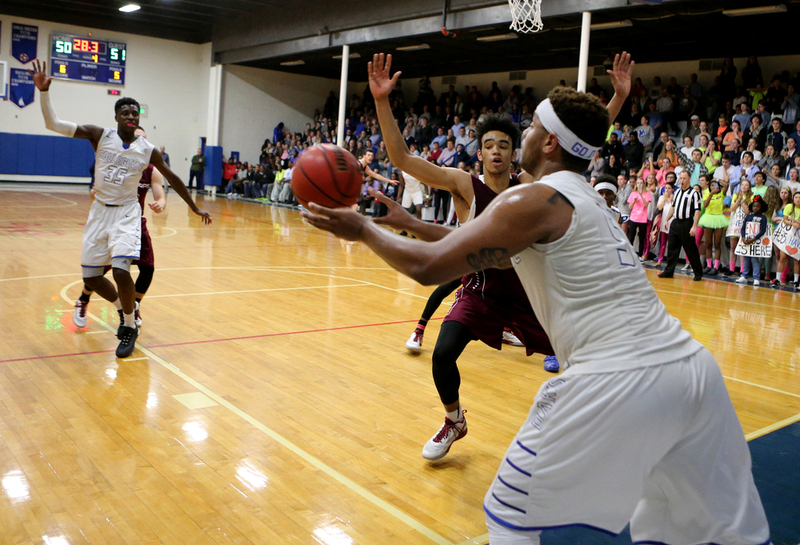 Norfolk Collegiate's Kyonze Chavis shoots over Virginia Episcopal's (Lynchburg) Admir Besovic, left, and Justice Kithcart during Collegiate's 52-51 loss in the VISAA state quarterfinal, Wednesday, March 2, 2016 at Norfolk Collegiate School. Norfolk Collegiate's Bash Townes, right, inbounds the ball despite pressure from Virginia Episcopal's (Lynchburg) Sacha Killeye-Jones (cq) during Collegiate's 52-51 loss in the VISAA state quarterfinal, Wednesday, March 2, 2016 at Norfolk Collegiate School. Norfolk Collegiate's Adam Grant shoots a free throw during Collegiate's 52-51 loss to Virginia Episcopal (Lynchburg) in the VISAA state quarterfinal, Wednesday, March 2, 2016 at Norfolk Collegiate School.